Area information, charter captains, reports and more. Myrtle Beach shark fishing is fun and exciting for fisherman of all skill levels and ages. Sharks are abundant in the coastal estuaries and inlets around Little River Inlet, Murrells Inlet and other areas along the Grand Strand. They can be caught often during the summer months as water temperatures rise. The most common species of shark that can be caught in the Myrtle Beach area are hammer head sharks, nurse, spinner, black tip, bull, and sandbar sharks. Shark fishing is a great way to enjoy a unique fishing experience in our area. Sharks are the ultimate predator and are a lot of fun to try and catch using light or medium tackle. Here, in Myrtle Beach, we have a large population of sharks and anglers usually do not wait long before they hook up with a shark. Most shark fishing here is done in the protected waters of the inlets and at the jetties and from the piers. Most commonly, the sharks range from 2ft to 4ft, but sometimes can be larger depending on the bite and the time of the year. Some people like to catch sharks with light tackle rods and reels, providing a very challenging and fun fight to land them aboard the boat. To land a shark, you will need tackle that can withstand rows of razor sharp teeth and won’t break when a shark goes on a run. 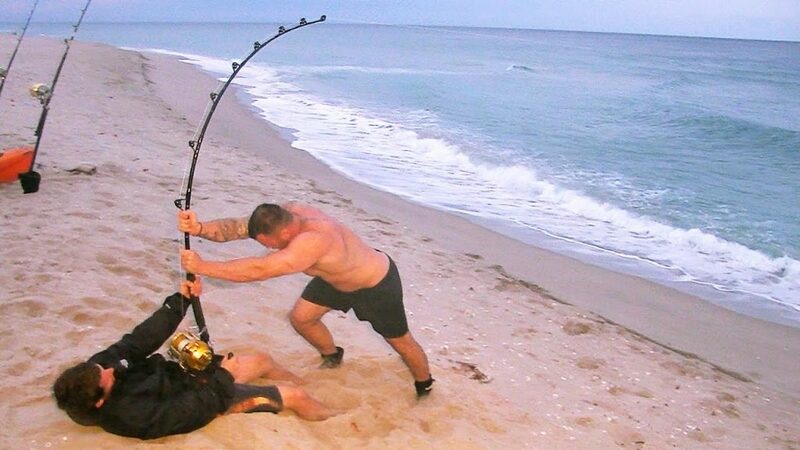 Shark fishing is often just a game of keeping your line intact and not letting the shark bite you off. Use your boat’s rod holders, or on the beach, sink a plastic rod holder deep into the sand. Once your bait is on your hook cast your line into to water, you will leave it in and wait until your line starts to scream. For sharks, up to about 6 feet, a 60-pound braided line is sufficient for your primary fishing line. But, you will need also about 6 to 7 feet of monofilament line at the end, before the leader. It is going to absorb the shock as the shark runs away, or if you hook a species like a blacktip that go airborne and leap out of the water. Finally make sure you use at least a foot of wire leader as well. A shark can roll around or swallow enough line to bite through even the thickest monofilament fishing line. A wire leader prevents this and helps to stop most bite-offs and when the sharks abrasive skin can wear down line. Fishing for sharks actually begins with fishing for whiting, bluefish, or another small species of bait fish. The logic is very simple; fish for sharks with the same species they are eating in the spot that you are fishing! Fresh bait is always going to be the best kind of bait to use. If you are on boat, look for birds fishing in one clustered area. Inch your boat into that area and look for the ripple in the water from the schools of fish. Throw your cast net over where you think that the fish are and let it sink to the bottom. Then pull up your cast net with a fresh load of your bait! Of course, it doesn’t always work out like that. 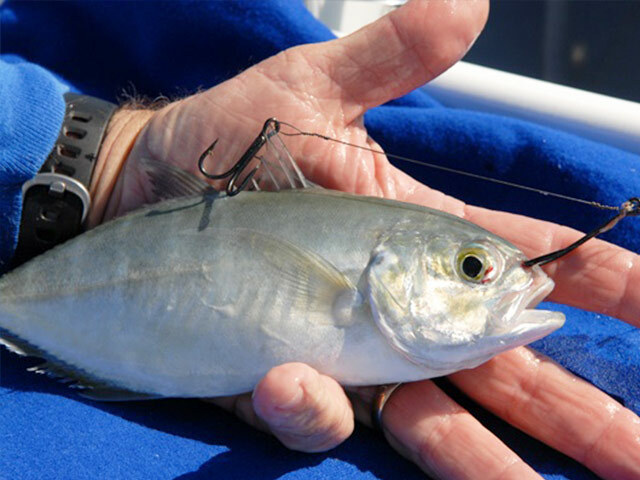 High tides sometime push the bait fish into the inlet areas, so you can anchor your boat near the shoreline and fish with an light rod using chunks of shrimp to catch a few whiting. Make sure to peel the shrimp that you are using as bait, they will hold better if you do that. In general, using a 6000 to 8000 size spinning reel and a 10-12 foot surf rod to be able to catch a good size shark from shore. One of the biggest mistakes surf fisherman make is to wade out to chest level water and then cast their bait beyond the surf. Like it or not, the sharks are in the surf, where you would typically be swimming. You are going to want to cast your line there. If you are going to target big sharks that are 6 feet or larger, they will hang out where the shore drops off, just beyond the waves. The easiest way to get your bait there is to kayak out beyond the breakers, drop your bait and the kayak back to shore. The best part of it all is the first bite! You will know when a shark hits, because your rod tip will bend almost to the water and your reel will start to rip out drag. After you cast your line, set your drag just loose enough that a shark can take your bait and run with it. You do not want him to immediately know that he is hooked. Once the shark runs let up for a second, tighten up your drag. Give a slight tug, now they know that they are hooked and they will make a second run for it. Now is where the tug of war games begin! Do not rush it! Landing a big shark can take well over an hour to do. When a shark gives you some slack, reel away. Keep your rod tip, and when you feel the opportunity, lower it slightly and reel in some line. 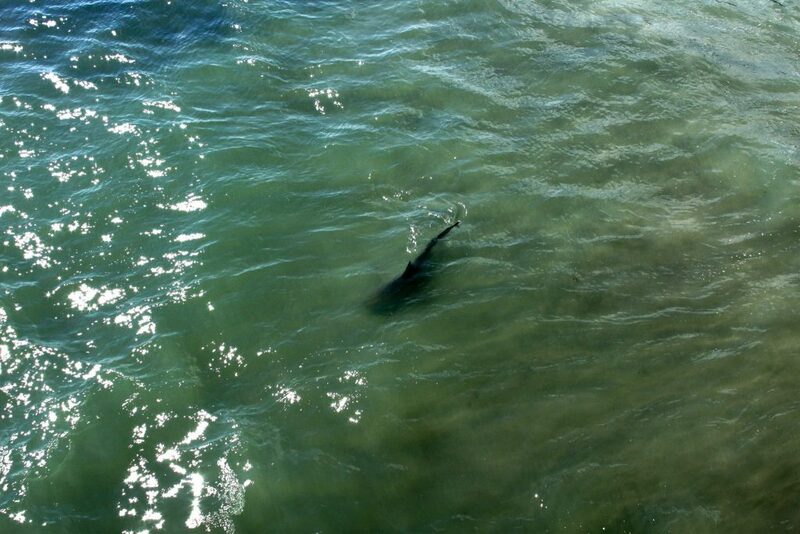 You are going to want to inch the shark closer to the beach or to your boat. The next decision you will have to make is if you want to pull the shark onto the boat or release it from in the water. The number one thing that you need to remember is that shark have a lot of teeth and they will bite you with no hesitation! So, you need to be careful trying to remove the shark from your line, whether you are on a boat or on the beach. If on the beach make sure to always keep the sharks mouth facing the ocean so that they can continue breathing with the help of the waves. You don’t need to pull them all the way on the hard sand. Leave them in the soft sand where they can continue to get water. Make sure it is a safe place that you can safely remove the hook. Make sure you give yourself ten seconds to remove the hook, either using pliers for a small shark or with a dehooker tool. 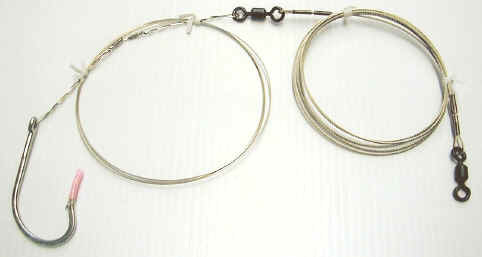 If you can’t remove the hook in ten seconds, snap it in half with a wire cutter or bolt cutter. Your number one priority is to ensure that the shark survives and returns safely to the water. 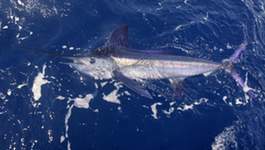 MyrtleBeachFishing.org is your source for fishing charter information, reports and more from a team of local fishing fans. We're your source for the best information on Myrtle Beach fishing. Questions? Feel free to contact us.